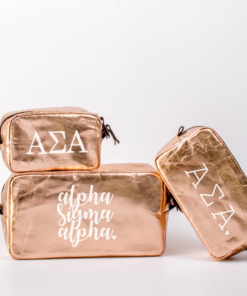 Display your Alpha Sig pride on your back pack, totes, pencil bags, etc. Our fun filled Alpha Sigma Alpha button sets include all the must have, sorority sugar for your life. 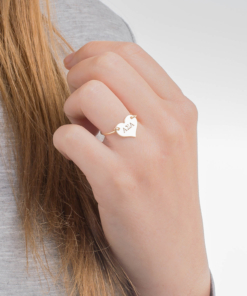 Made with lots of love, these 1-3/4″ round buttons are made with mylar shells and pinned backs! 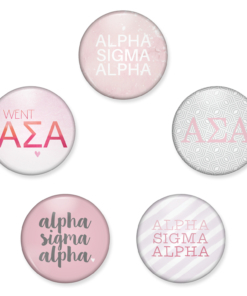 Show your sorority pride by pinning these on your back pack, tote or other pencil bags. 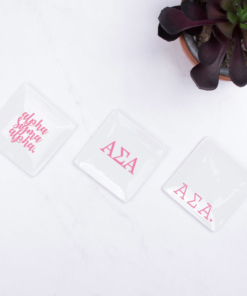 Use them for sorority swag, new member gifts, or even for recruitment name tags! Don’t have a need for a button? No worries, turn these cute pieces into magnets; perfect for you refrigerator, office, or white boards! 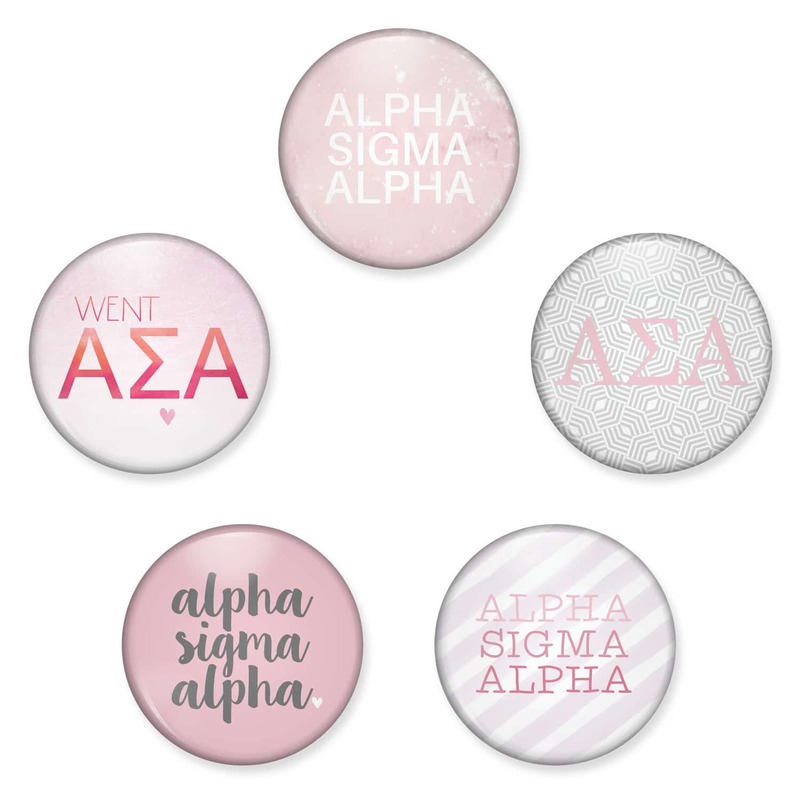 These Alpha Sig buttons make a perfect addition to any bid day bag or gift basket for your little.